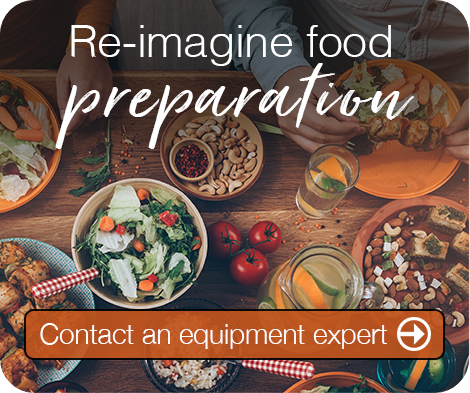 Expedite foodservice operations and reach customers wherever they are with versatile, mobile delivery carts. À la Cart’s mobile serving carts take the customization and capability of meal delivery systems to a whole new level. 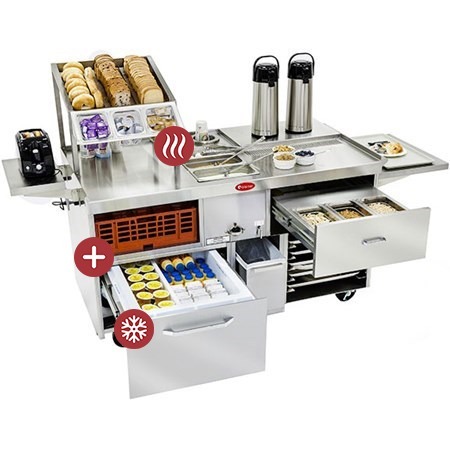 This multi-functional meal delivery system offers a wide variety of meals and snacks from one easy-to-use mobile serving point. 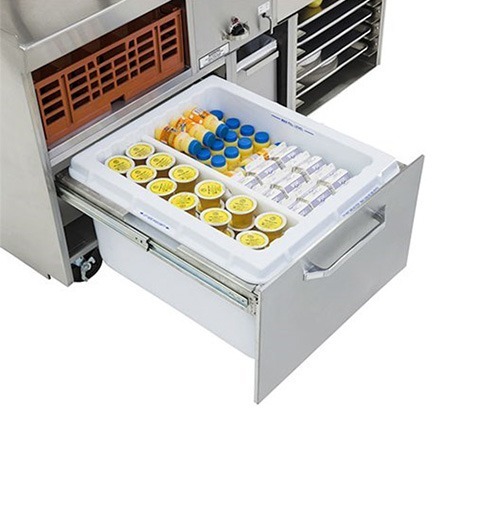 These commercial meal carts can be used to deliver breakfast to the hospital or healthcare bedside, or supplement foodservice equipment in college/university/K-12 school systems, or the hospitality setting. 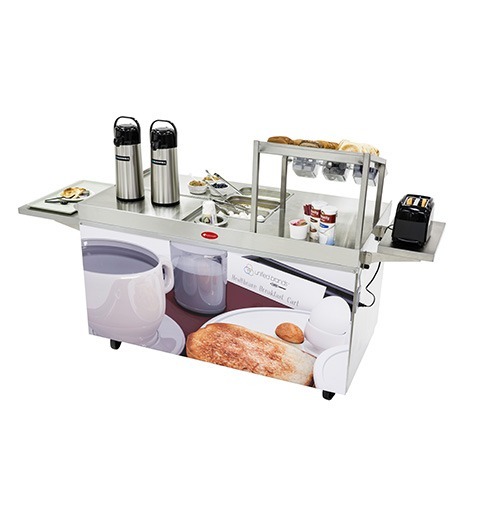 Whether serving continental breakfast or hot options, foodservice staff can take advantage of this complete meal delivery cart’s numerous applications — and with helpful features like dishware storage, a hot well for soup and a beverage service area, this innovative design can complement any meal delivery system at any meal: breakfast, lunch or dinner. 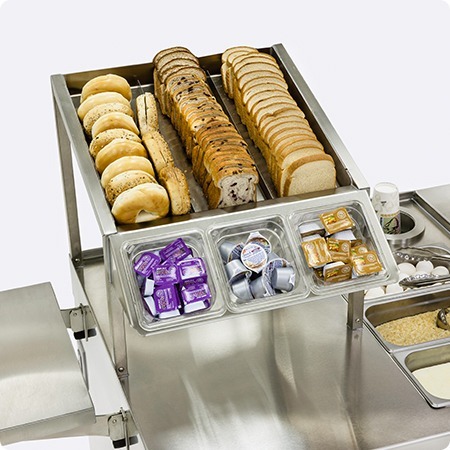 Between meals, mobile serving carts can easily transform into snack carts, offering valuable revenue-generating potential through the service of light meals and snacks to visitors and staff. 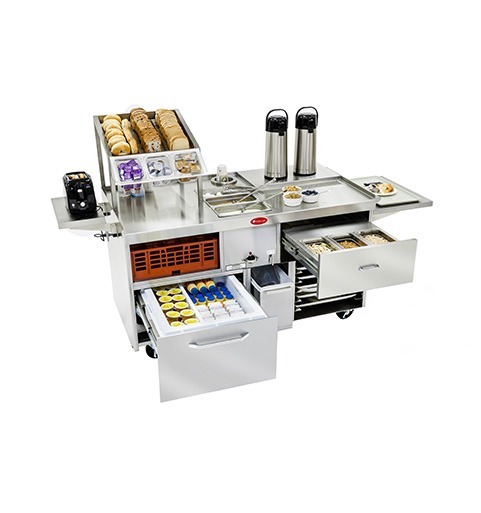 This all-day capability translates to maximum ROI and makes the breakfast/support cart an around-the-clock workhorse for foodservice staff. The cart’s stainless steel body panels also offer the opportunity for personalization with custom applied graphics — maintaining a branded appearance as the cart moves throughout the facility. 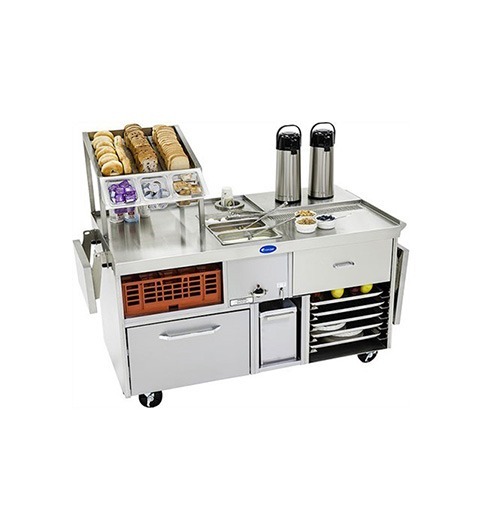 Whether it’s mealtime or just time for a quick snack, the breakfast/support cart from À la Cart provides foodservice professionals with a flexible, capable meal delivery system that always fits the bill.